This cake is so darn delicious and easy to make. And let’s be honest, its downright gorgeous. 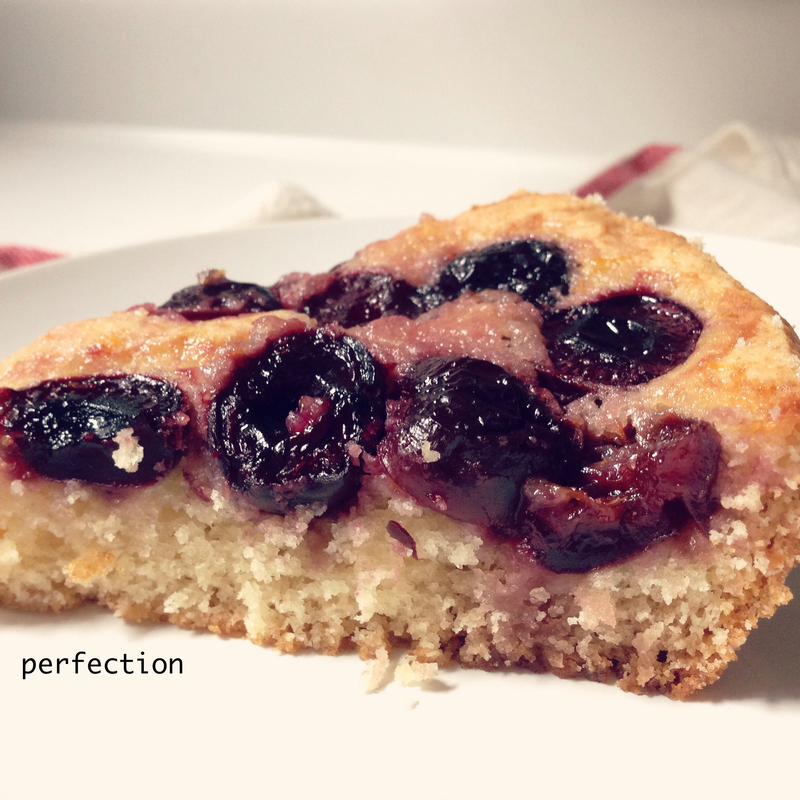 The cake itself is incredibly moist, light, and adaptable to ANY fruit combination imaginable. During the winter, I substitute fresh fruit with frozen–dark cherries topped with lemon zest for this post, frozen blueberries and raspberries in the past. 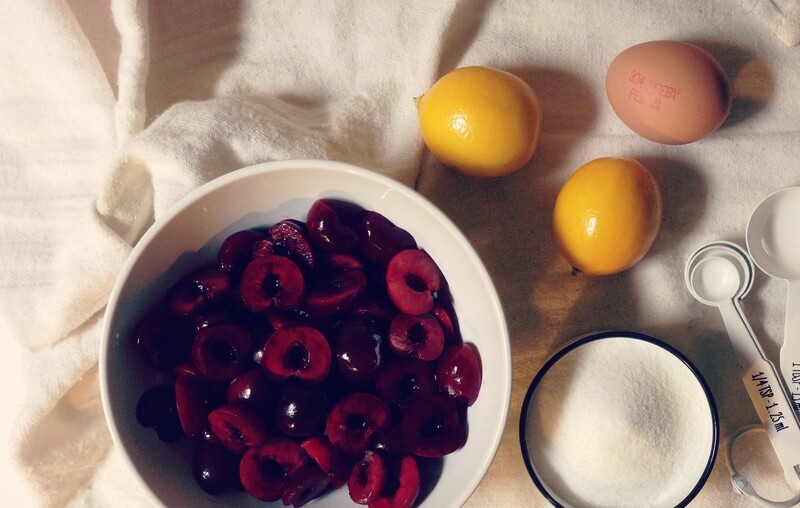 Once summer is underway, I love using ripe strawberries, plums, and white nectarines. In the fall, I opt for fresh picked apples sprinkled with a touch of cinnamon. I don’t own a pie or cake pan (eek! 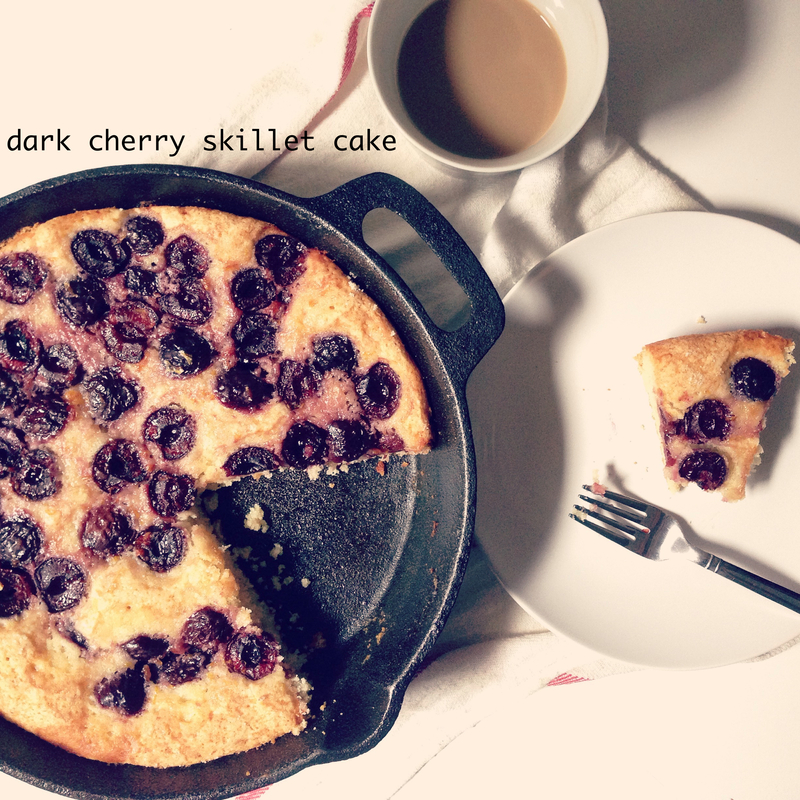 ), so I bake this cake in my cast iron skillet. As a final note, depending on my mood, I sometimes reduce the amount of butter and sugar in the batter. I’ve even swapped out white flour for whole wheat. Regardless of how I tweak this recipe, it comes out perfect every time. Prepare flour mixture. Preheat oven to 350 degrees. Butter a 10-inch cast iron skillet. Combine flour, baking powder, and salt in a medium bowl. Prepare the wet ingredients. In another bowl, whisk melted butter and 1 cup of sugar until well combined. Then, add egg, milk, and vanilla and whisk until incorporated and smooth. Combine. Gradually fold the flour mixture into the wet ingredients, batter will be thick. Transfer batter into buttered skillet and smooth top with rubber spatula. 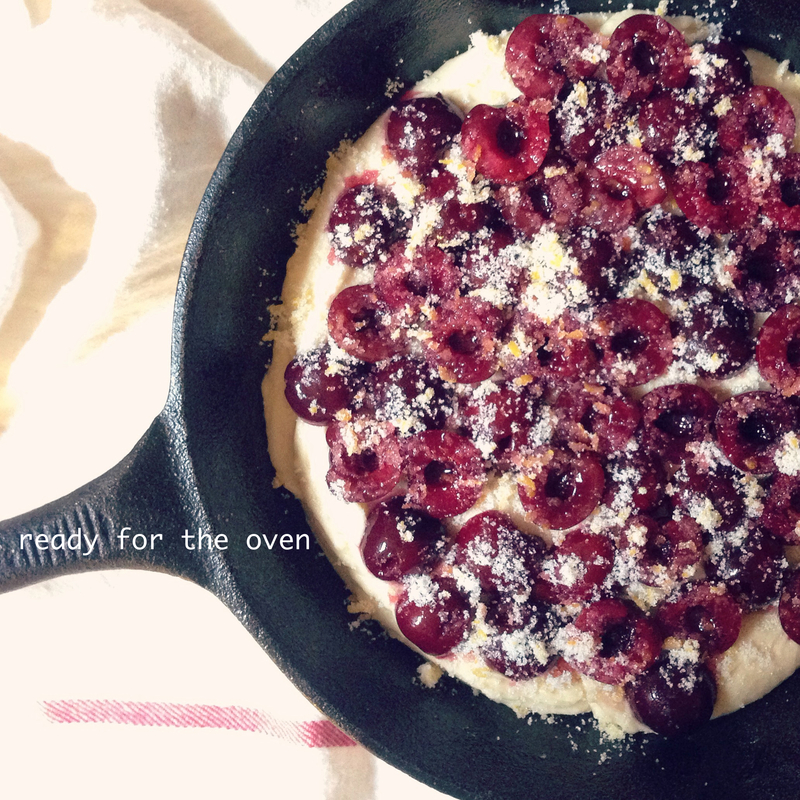 Arrange cherry halves on top of batter, as close as possible in a single layer. Bake. Bake for 10 minutes. Reduce oven temperature to 325 degrees and bake until the cake is golden brown and a toothpick comes out clean, about 1 hour. Let cool. Cut into wedges and serve. *Top with vanilla ice cream for a decadent dessert. *Cake can also be baked in a 10-inch pie pan or 9-inch deep deep-dish pie pan. *To store, cover loosely with aluminum foil. yes me too! 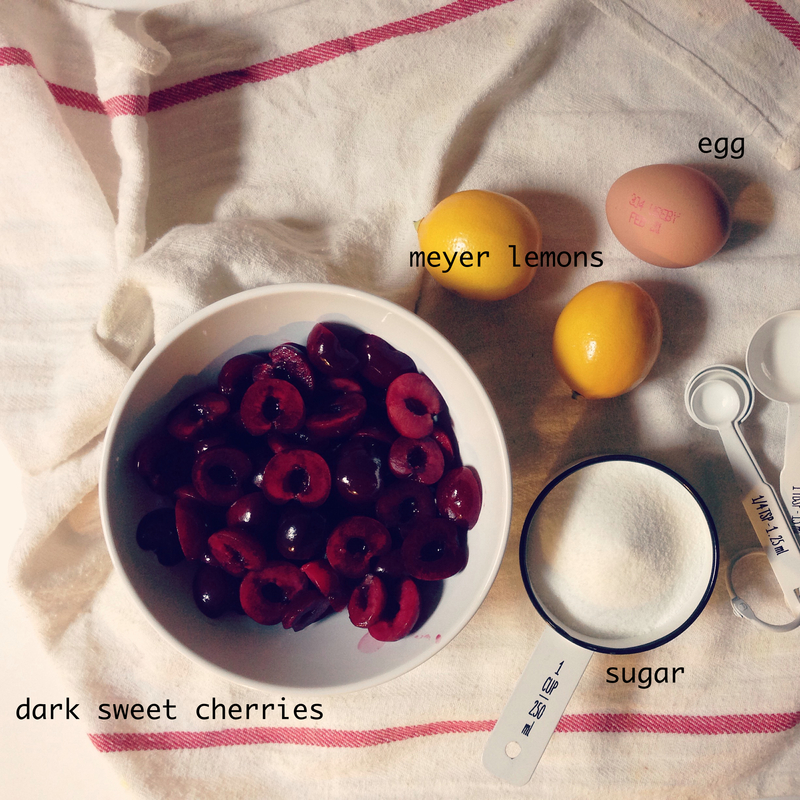 It’s very delicious and easy to make!